Tsunamis can have severe impacts on society. In addition to casualties and damage to buildings, they can also damage and disrupt critical infrastructure. To support effective risk management, it is important to understand the possible extent, severity and duration of these impacts. While impacts on buildings and casualty estimations are relatively well developed for tsunamis, critical infrastructure impact models are either not available or lack accurate vulnerability information. 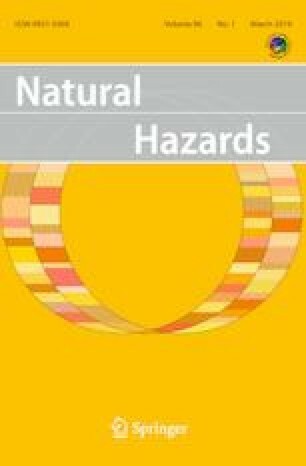 This paper addresses these issues by reviewing global tsunami impacts to critical infrastructure to develop a semi-quantitative tsunami damage matrix for critical infrastructure components and systems. One potential application of the damage matrix is demonstrated within an impact assessment process for Christchurch, New Zealand. The impact assessment determines asset damage likelihood for energy, water, telecommunication and transportation assets from a large tsunami inundation scenario. Consistent with observations from previous international tsunamis, above-ground assets and buried storm water pipe networks in Christchurch were found to perform poorly, while buried potable and waste water pipe networks were less impacted. This process provides a simple, but widely applicable, impact assessment approach which further studies can build on. Future research should focus on developing quantitative probabilistic tsunami vulnerability models for critical infrastructure that implement multiple asset standards and hazard intensity measures, and better account for uncertainty. The authors would like to acknowledge the Christchurch infrastructure lifeline organisations who made spatial asset data available for this project, as well as funding contributions from GNS Science; the National Institute of Water and Atmospheric Research (NIWA Taihoro Nukurangi) through Strategic Science Investment Funding, Project CARW1703; Natural Hazard Research Platform contract C05X0804 (TW); Earthquake Commission capacity fund to Geological Sciences, University of Canterbury; the Mason Trust Fund; and Environment Canterbury.